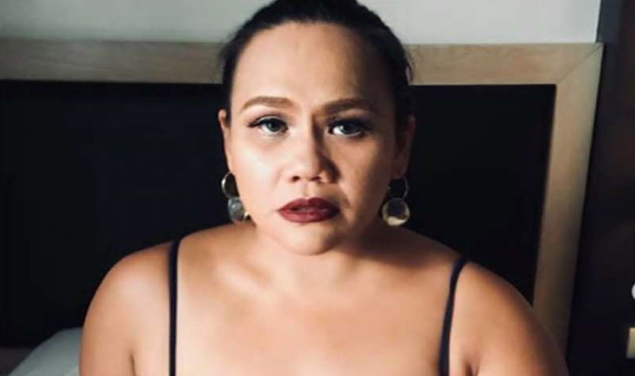 A staunch supporter of President Rodrigo Duterte during his Presidential campaign in 2016 was singer Bituin Escalante. Escalante who was among the 16-million Filipinos who voted for Duterte admits she withdrawn her support since she heard of EJK and the Supreme Court's ruling on the late former President Ferdinand Marcos’ burial in Libingan ng mga Bayani (LNMB). 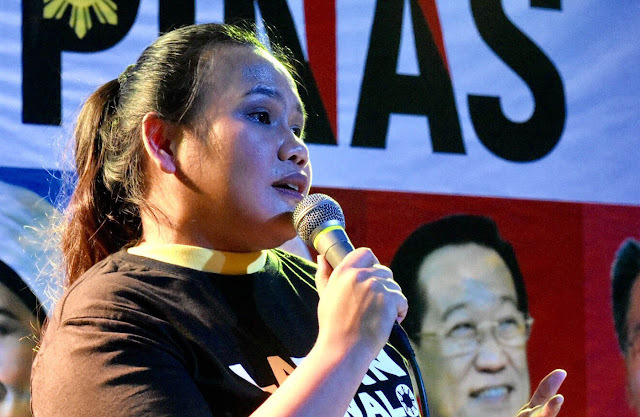 Singer Bituin Escalante sang the national anthem on the launching of Team Pilipinas, the oppositions coalition group of volunteers for the oppositions Senatorial bets in 2019. Held in the Quezon City food park Thursday night, November 29 Senatorial wanna be former solicitor general Florin Hilbay even sang “‘Wag Na Lang Kaya” together with True Faith’s Meds Marfil and Eugene Marfil. Known critic of Duterte, Jim Paredes was also seen in the launching who sang a few Apo Hiking Songs for the crowd. Escalante who is very vocal on Twitter explained why she decided to vote all 8 senatorial bets of the Oposisyon Koalisyon in 2019. And now says, she officially withdrawn support to Duterte recalling how she vote for Duterte but she said she loved her country more. “Lahat tayo, hindi tayo buong loob na bumoboto minsan. Alam ko 'yan. 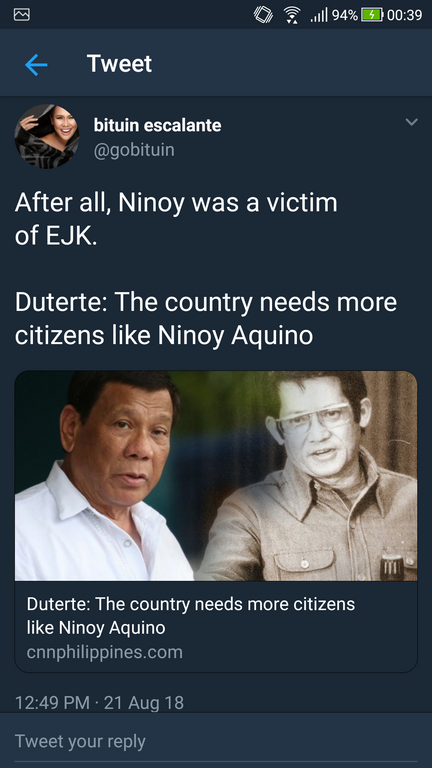 Binoto ko si Digong eh. Pero isipin natin na ang 8, may respeto sa batas. May pagkakaiba tayo ng views, maski RH (reproductive health) bill pa ‘yan, tungkol sa Mindanao, magkakaiba tayo,” said Escalante. “Pero ang 8, naniniwala sa tamang pamamaraan ng pagkakaiba. We believe in the vote, we believe in our laws. They believe in our laws. So we may fight over the little things, pero ang prinsipiyo, ang paninindigan sa batas, ‘yan ang kaya kong panindigan na paninindigan ng 8. Straight 8!” she added. Escalante also said that she no longer 'stomach' being a Duterte supporter. “‘Di ko matanggap at ‘di ko rin masikmura na hindi magsalita at pati ako eh, parte ako ng problema. Pero kung parte ako ng problema, parte ako ng solusyon,” said the singer, earning loud cheers from the crowd. “In the first place, he was always a reluctant choice. This was my first popular vote. Masaya ako na pareho ang boses ko sa nakararami sa atin (I was happy my voice was the same as many others). And I always thought na (that) our institutions would protect us. There was still the judiciary. There was still the legislative,” said Escalante. “Pero simula pa lang, ‘di pa siya nakakasampa, ang dami nang namamatay. Ang dami ng EJKs. Tapos, ang dami sa legislative, biglang nagpalit-kulay. Parang mga sariling interes nila ‘yong pinoprotektahan nila. Isa-isang bumagsak ang institutions natin,” she added.